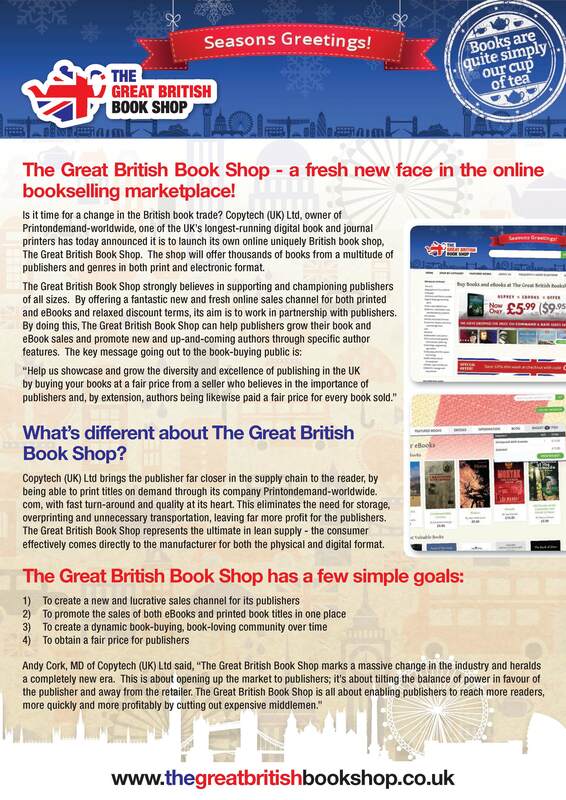 Introducing… The Great British Book Shop! We’ve got some exciting news we would like to share with you! 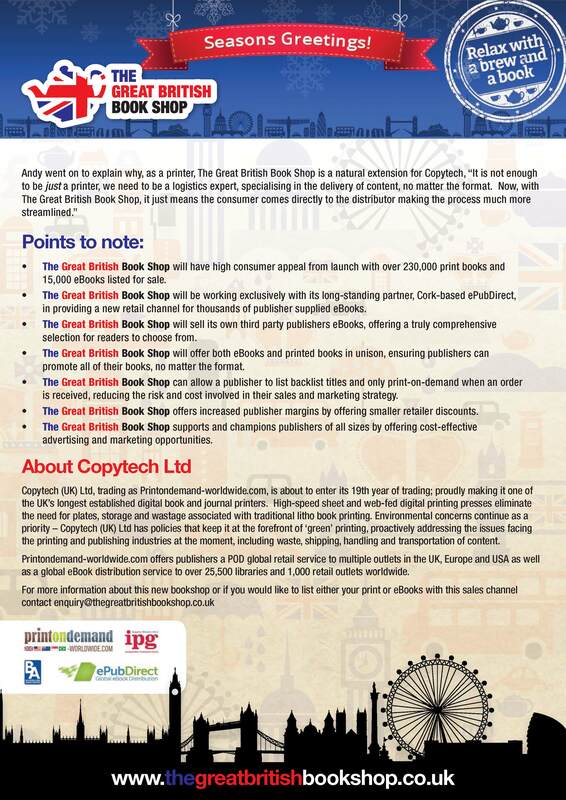 Owner’s of Printondemand-worldwide, Copytech Ltd, are to launch a uniquely British online book shop with a soft-launch date of mid December. For more information please see the press release below. Alternatively, click here to download the press release.